If you teach in a high school setting, it seems natural that after students learn, you assess, but does assessing always mean giving tests? When I was in school, the answer was yes. 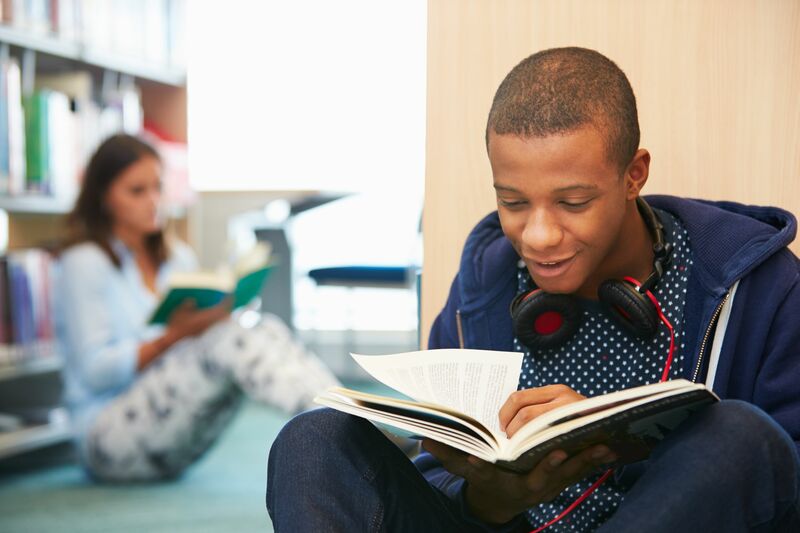 However, we can challenge our students far more than any test can because tests are often meant to have students regurgitate information they have learned and don’t allow them to insightfully connect with and reflect on a text. One of the strategies I use in my classroom to help my students not only demonstrate their understanding of a novel but also delve deeper into its moralistic nature and to answer the age-old question “Why are we learning this?” is to give them a challenge they must complete as a group. I’ll describe how I did this with Harper Lee’s To Kill a Mockingbird, but you can do it with any novel. My students spend roughly four 90-minute blocks of class time on brainstorming and planning, creating, finalizing, and presenting their products. I gave each group the same content standards, a question, and a list of what I call nonnegotiables, elements that every group’s product had to include. The question was one that could be used with any novel: How can we demonstrate our understanding of the novel in a creative way that uses evidence and includes the nonnegotiables? These nonnegotiables are about the content, which helps us establish our content criteria. The products had to be examples of how the students understood not only the motif of mockingbirds but the theme of walking in someone else’s shoes, demonstrating their ability to empathize with characters and to critically and insightfully connect to literature using textual evidence. With this kind of challenge, once students know what is expected of them, we decide as a class what creative looks like and sounds like, designing quality criteria as seen in a Critical Skills Classroom, which is focused on four key methodologies: collaborative learning, experiential learning, problem-based learning, and standards-driven learning. I find that when students have an active role in how they will be graded, they’re more likely to become invested in their work. Once they understand the assignment and the quality criteria, students are free to brainstorm as a group. For about 10 minutes, I just walk around and listen. I like to hear them engage and problem solve before I start my facilitation. If students stray from the project at hand, I bring them back by asking facilitative questions such as: “Are all members being active members? If not, how can we ensure everyone has a voice in this project? Who is responsible for which part? Is there a timeline you have set as a group? Do you have a plan if you need more time?” Questions like these leave the students in charge of their learning while guiding them to find ways for them to address the challenge on their own. Depending on the type of products students design, you can either do a carousel activity, where students visit one another’s work placed around the room, or presentations. Students assess their peers’ work using the single-point rubric that I use myself to assess their work. One of the most important aspects of this challenge is the debriefing, where students can offer feedback to one another and about the activity itself. After all groups have presented and provided feedback to each other, we debrief on the process, the products, the group dynamics, and the nonnegotiables using class discussion and a Good/Improve T-Chart on the board. I use established debrief questions such as: How did you start solving the problem? How did you assign roles? Could we have made more efficient use of our timing? I also allow students to pose questions. While there are many ways to run a debriefing, my students all participated, so we were able to talk without an established, structured procedure. In addition to the whole class reflective process, in order for students to do well and investigate their own process and critical thinking, I have them answer metacognitive reflection questions such as: How did your group approach this project? What role did you play? What would you do the same or differently next time? My students have created strong products: dioramas that appear to change based on perspective, music scores, slam poetry, rap songs. When you teach your students to think outside of their comfort zones to demonstrate their learning, the possibilities are endless.